Happy Friday everyone! I hope you are all enjoying the beautiful weather as much as we are! This sunshine makes me want to drag my desk outside and soak up the rays. It was on a day just as beautiful that we got to do one of my favorite things in the entire world, celebrate my babies! Please note that I received free products in order to host a Disney Side @Home Celebration. The opinions expressed here are my own. You all know my love for Disney right? Well, I am happy to report that the apple does not fall far from the tree. 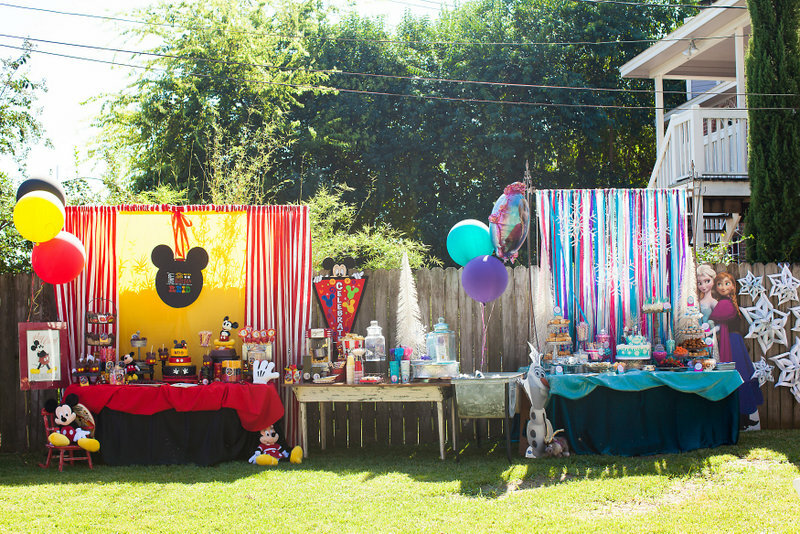 Both of my babies are just as enamored with The Mouse as I am so it was no surprise that they each picked a Disney theme for their birthday parties. The Boss picked Frozen to celebrate her 5th year (which 5 year old girl didn’t?) 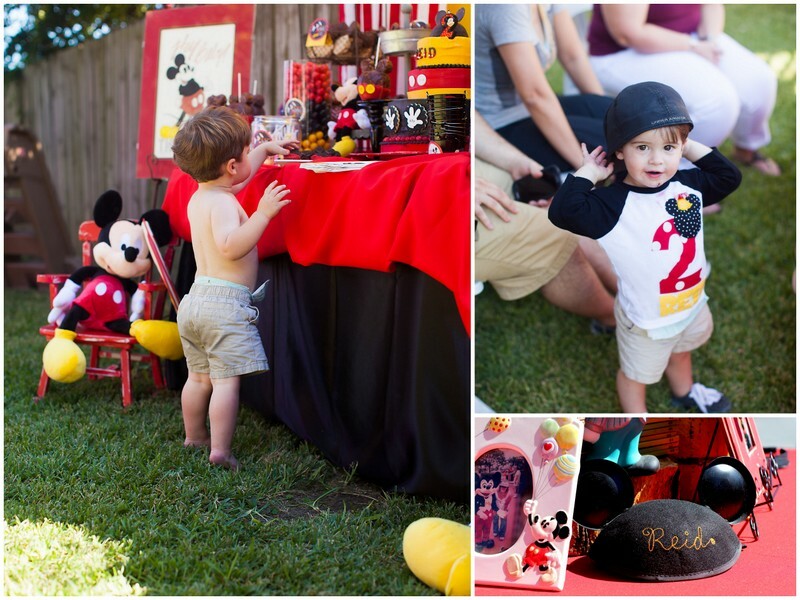 and Little Man picked Mickey Mouse to show his #disneyside . 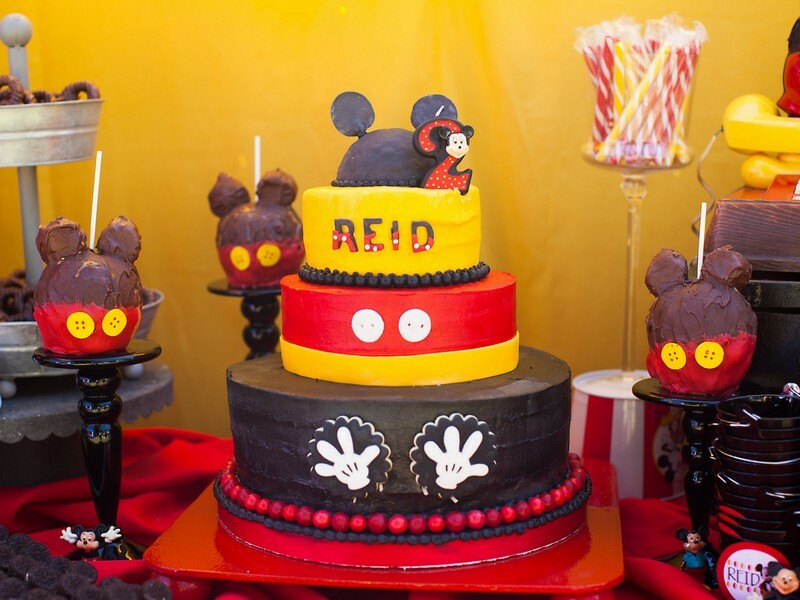 I was all about it, especially since Disney selected me to host a Disney Side @Home Celebration! How perfect! I mean, the Disney themes should come as no surprise, we’ve had Mary Poppins and Snow White parties so far and The Boss has all of the princess lined up in the order she wants them. I think next year is Pocahontas but I am sure it will change a million times between now and then. Anyway, on to the reason you are all here. Last year was easy to combine the parties because they each had the same color scheme. This year, not so much but we just went with it! Like always, they each had their own table with their favorite things on it. 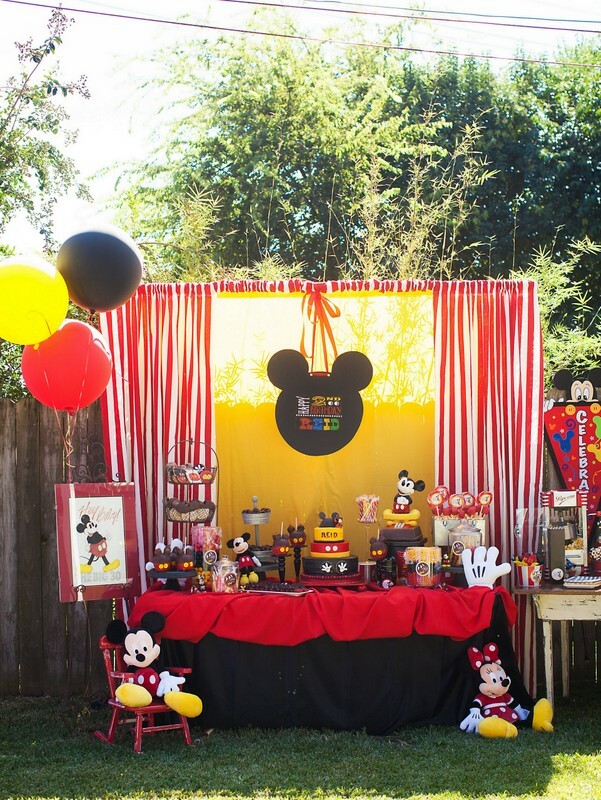 Today, we are going to show our #disneyside with Little Man’s Mickey Mouse Party! I can’t believe he is TWO YEARS OLD!!!!! A mischievous, rambunctious, crazy, adorable, sweet, snuggly, Mickey Mouse loving 2 year old! A 2 year old that LOVES candy! So candy we had! Lots of it! 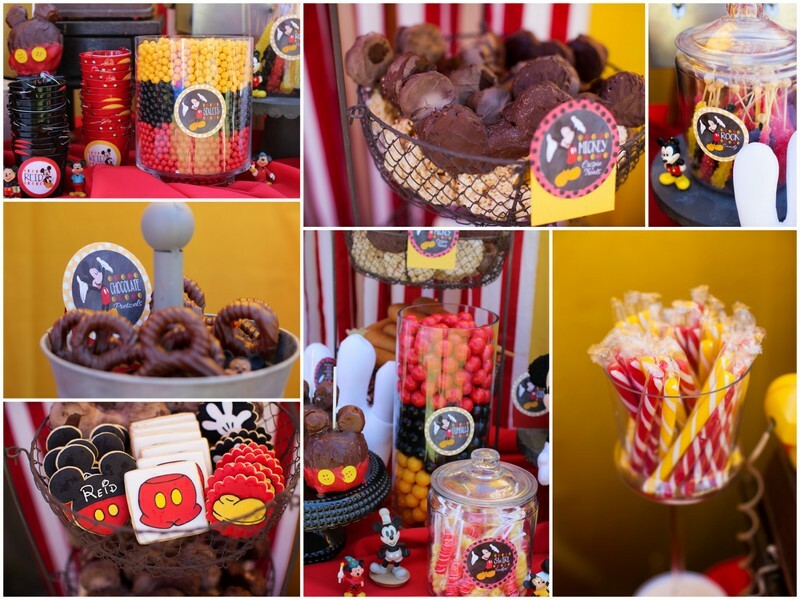 With Mickey Mouse Krispie treats, and chocolate covered pretzels and candied applies. You know, all of the good stuff! Don’t worry, I did feed them stuff other than candy! 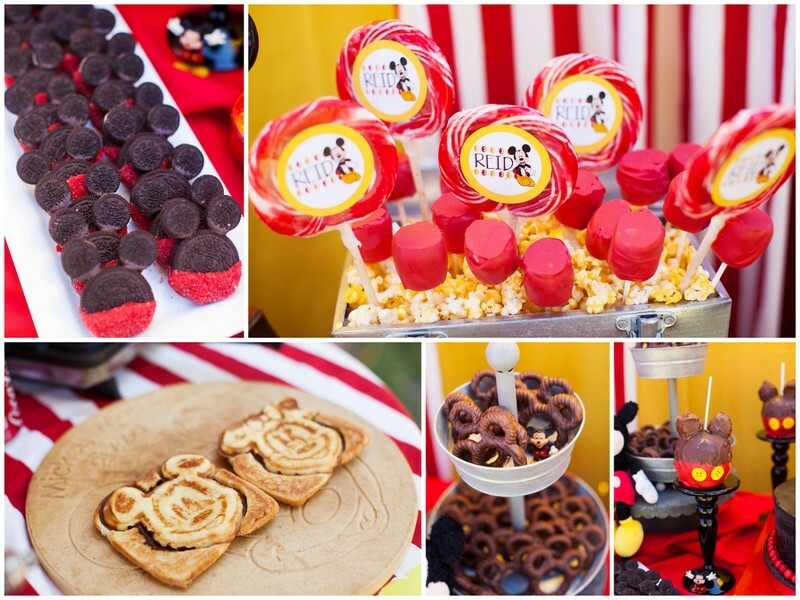 We had a Mickey Mouse grilled cheese and popcorn station set up too! 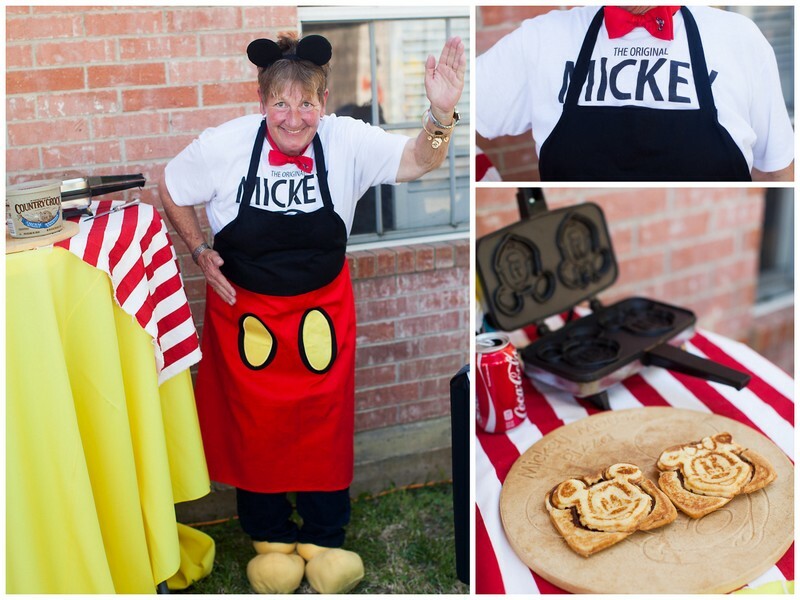 Complete with our own personal chef, aka, the most fabulous Aunt in the world! My Aunt is the person I blame for all of our Disney obsessions! She has collected anything and everything Mickey since before I was born! 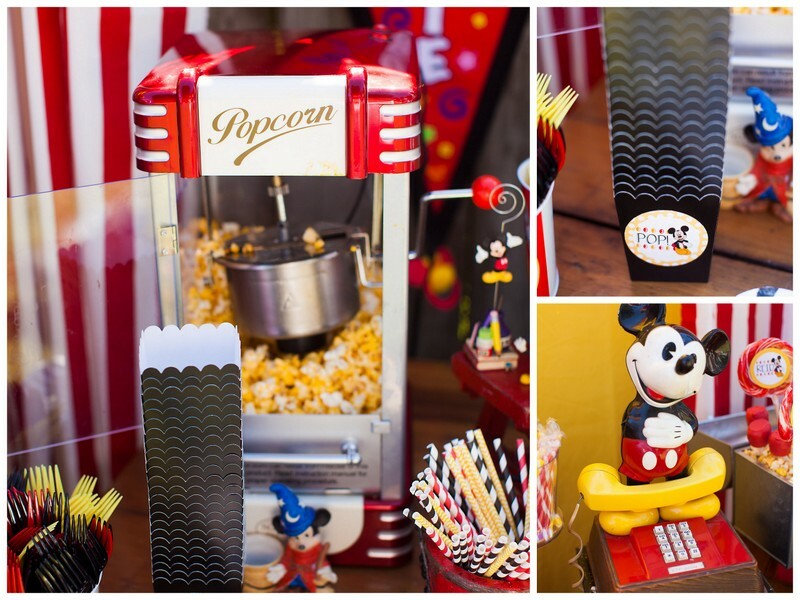 She has saved it all and the best part is, she let me use it for Little Man’s party!!!! 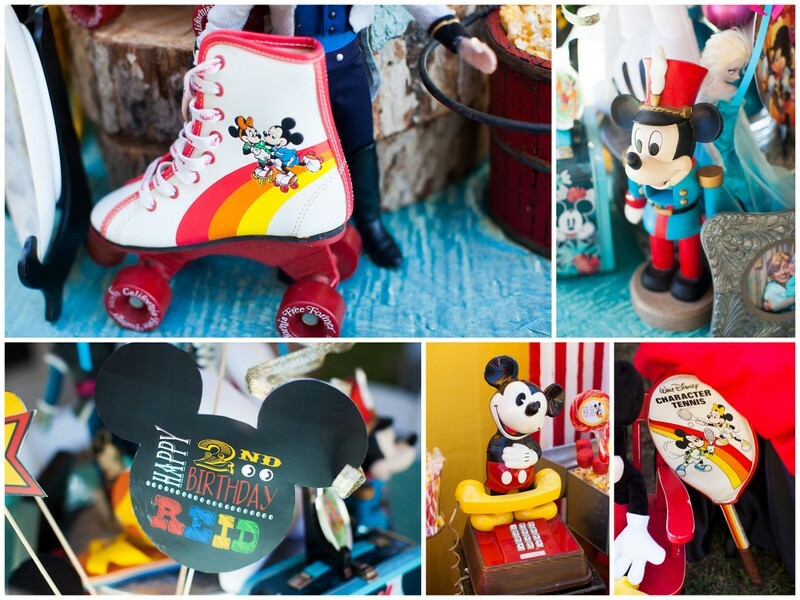 It was so much fun going through all of the boxes and pulling all of the vintage Mickey’s out. Most of it I hadn’t seen since I was a child. 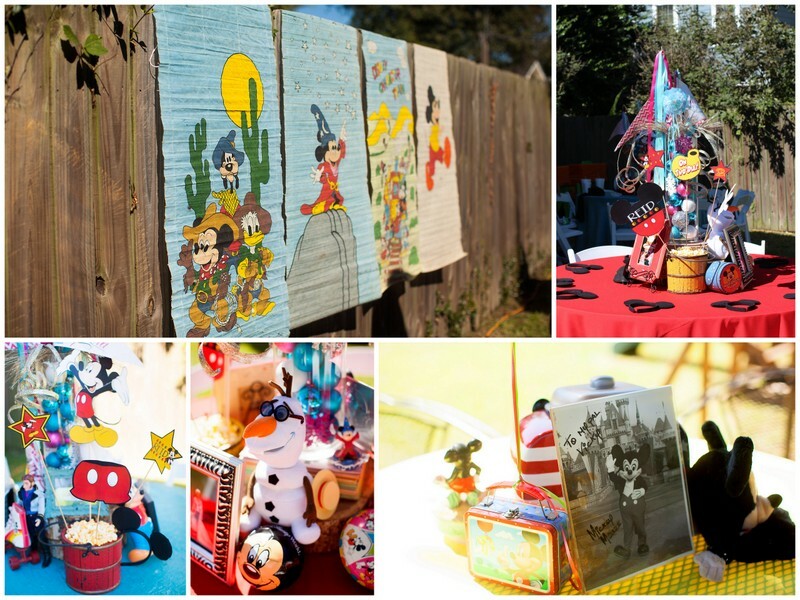 Fabulous trip down memory lane and even more fabulous that I got to incorporate pieces of my childhood into the party. 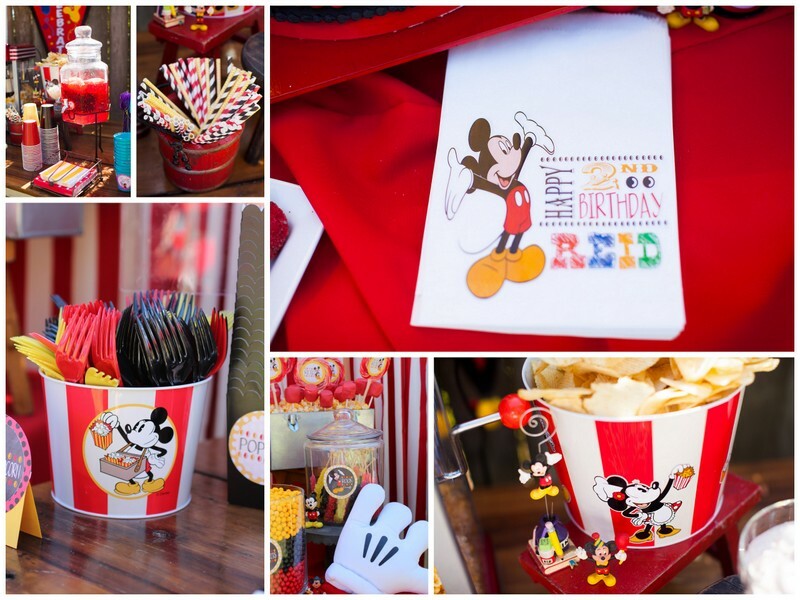 My favorite thing about the entire party is the Mickey Mouse drawing below. My Dad drew this for my Aunt for her 30th birthday. 🙂 It was like having a piece of him at the party. I know he would have loved it. Now that we’ve all had a few sniffles, on to the rest! 🙂 Like all of our parties, I love designing all of our printed goods. 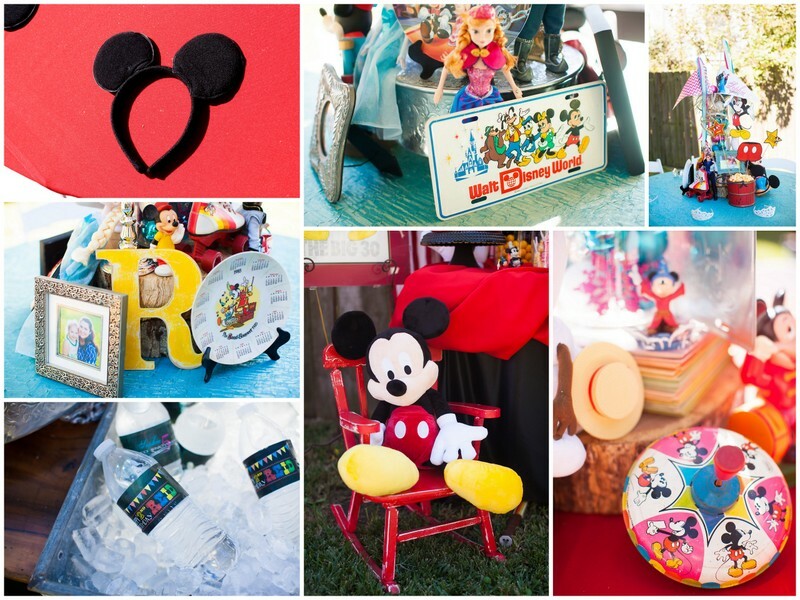 With a little bit of creativity and personalization you can make a great party a fabulous party! 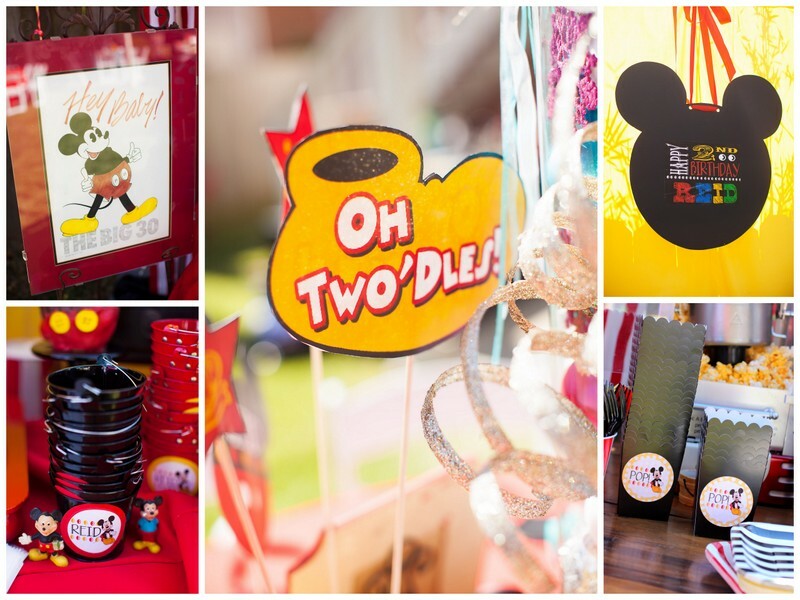 From custom water bottle labels, treat bags, candy labels, popcorn boxes and candy pails to invitations, centerpieces and signage, we can take your party to the next level! Oh! I almost forgot the cake! My favorite cake ladies came through again. Not only do Kay and Lisa’s cake look fabulous, they are the best thing you will ever put in your mouth! Family, friends and fun! What more could you ask for? 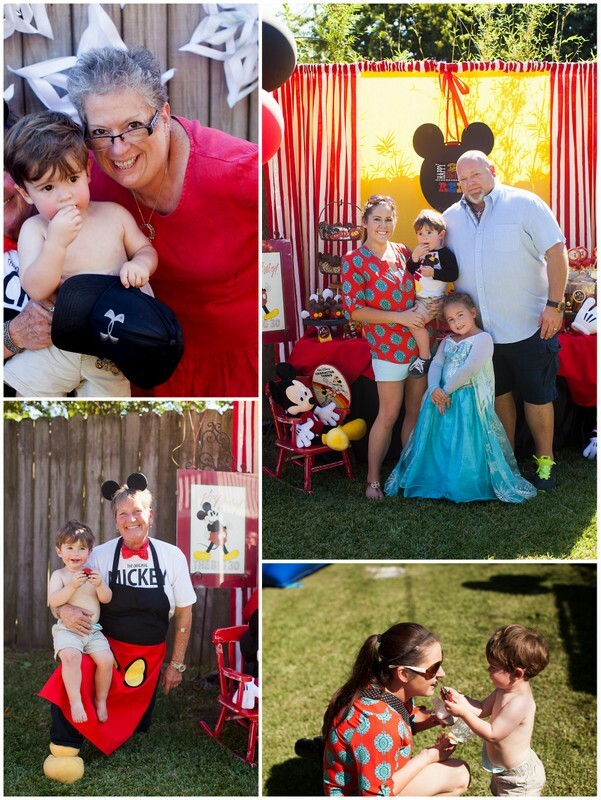 We had such a wonderful time showing our #disneyside and celebrating Little Man. 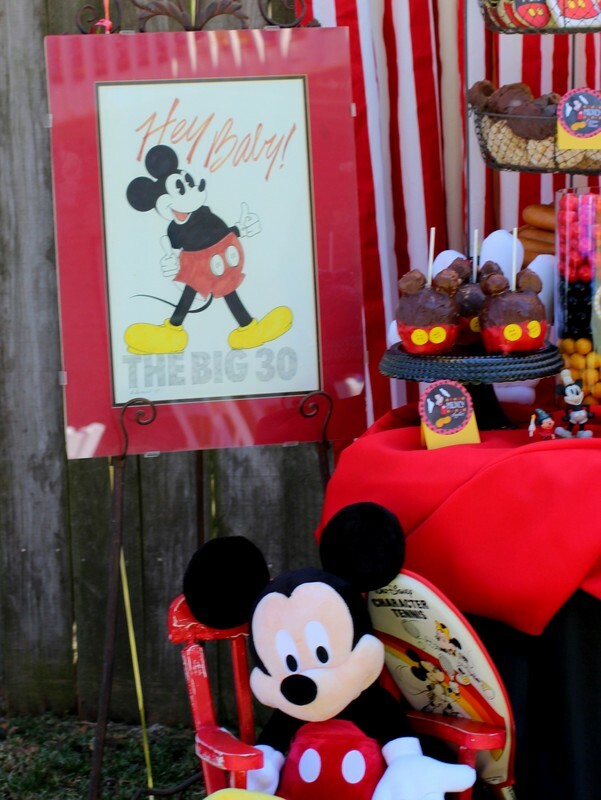 He truly is the sweetest boy around who deserves the sweetest party! We will be back soon with The Boss’s Frozen party so stay tuned! I would like to thank Disney Parks, MomSelect and the rest of the Disney Side @Home Celebration Sponsors for helping us show our #disneyside!